The utility of a 50 state survey on noncompetes has come up at various points. So, I finally took it upon myself to create one and make it publicly available. 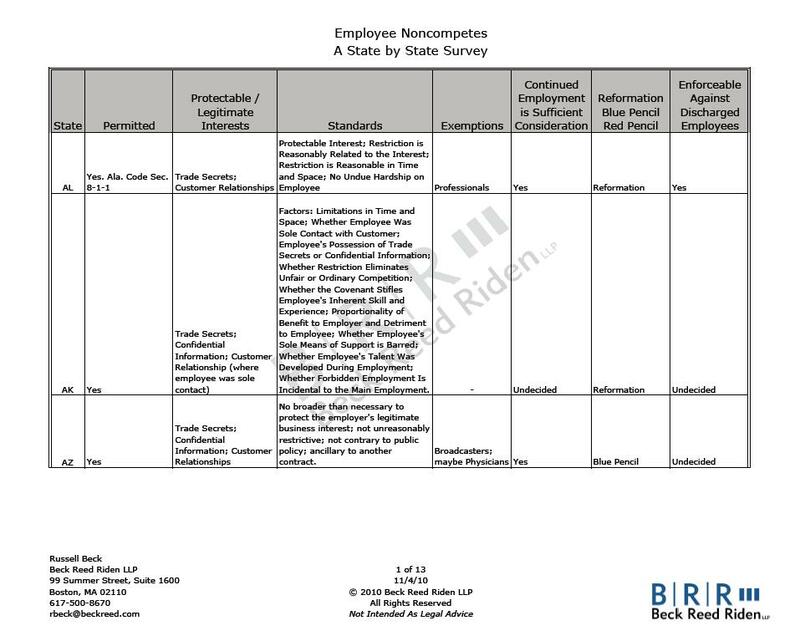 The chart is a summary of employee noncompetition laws and applicable standards throughout the country. The chart is available for download at Beck Reed Riden LLP here.